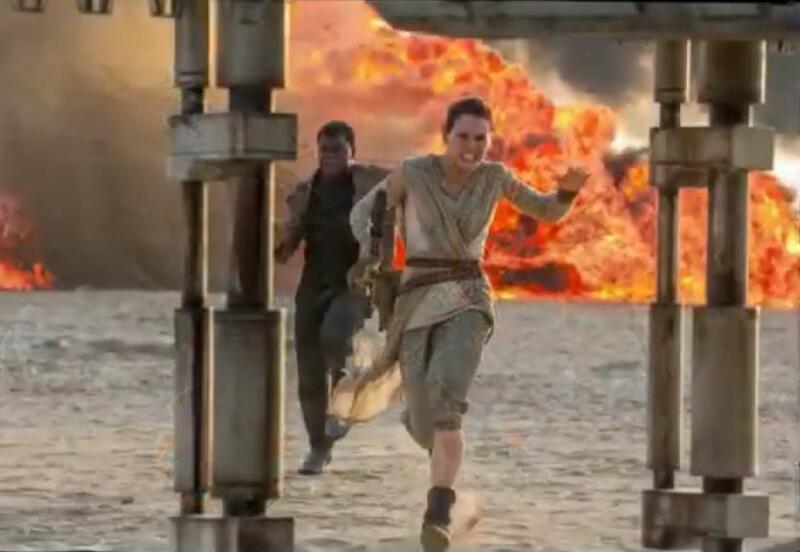 Discussion in 'Star Wars: The Force Awakens' started by Thread Manager, Nov 2, 2015. There&#8217;s been no shortage of rumors about the character played by Daisy Ridley, but even the name being used in that speculation&#8212;Kira&#8212;has now been proven false. 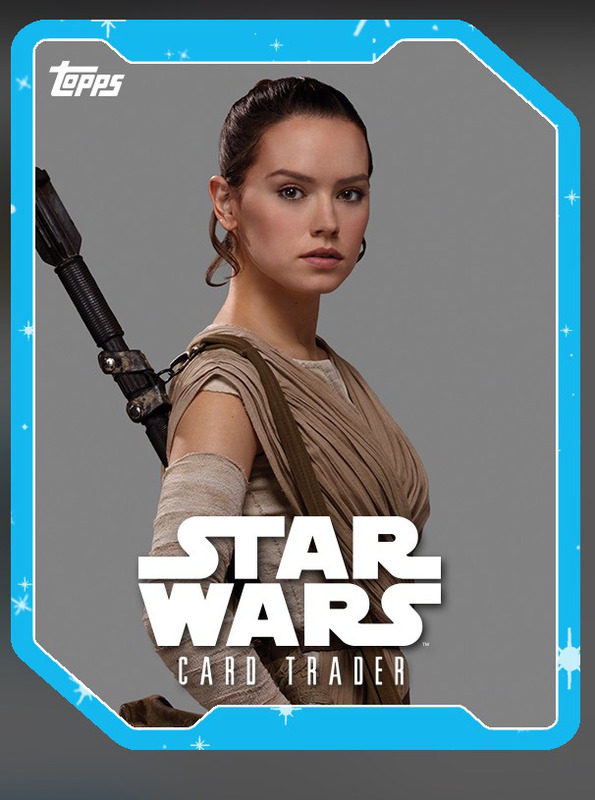 All we have at this point is her first name, Rey, so&#8230; maybe we&#8217;ll find out eventually whether her surname reveals deeper family connections. 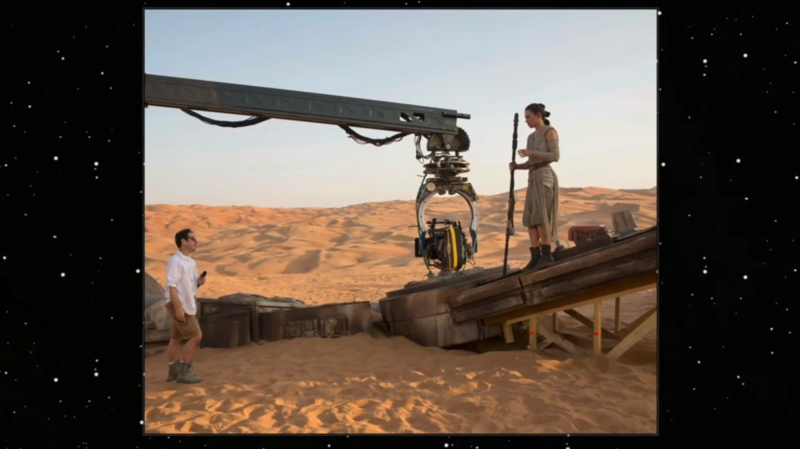 We discover Rey on the desert planet Jakku. She is a scavenger in like a ship graveyard and she is like completely self-sufficient. She does everything for herself and very solitary until she meets another character and an adventure begins. Mark Hamill says the story is about the offspring of the original characters and the new generation. George Lucas comments on abandoned idea for Indiana Jones's daughter. Harrison Ford comments on character changes when returning to roles in sequels. Disney XD special segment talks about Rey's goggles. Abrams talks about what he liked about not knowing things about the original Star Wars. Pre-Star Wars (1977) McQuarrie concept art of female "Luke"
Kathleen Kennedy: Ridley was found through a massive talent search. We're changing things so that the characters better reflect the audience. (Celebration 2015) More details about "Kira's bumper car"
Ridley and cast on the cover of Vanity Fair's June 2015 issue. Ridley speaks in behind-the-scenes of the photoshoot video. Ridley and Kennedy in Japan compilation post of links to interviews and videos. Link to post compiling some information pertaining to the role of family in Star Wars. JJ Abrams: The withholding of the character's full name is intentional. Hasbro Rey (Starkiller Base) figure: "Rey is a resilient survivor, a scavenger toughened by a lifetime of dealing with the cutthroats of the harsh desert world of Jakku." so has there been discussion of the new Duracell commercial that shows [BLACKOUT]a girl dressed up as Rey wielding a lightsaber and using force powers to attack stormtroopers[/BLACKOUT]? ^ Pretty Awesome! I know it's just a commercial. But with all the Force Awakens stuff, plus Duracell being allowed to have the full scale R2-D2 as well as the red armed C-3po, ( was that Anthony Daniels voice too?). I bet they had a lot of talk with Disney/Lucasfilm about creating the commercial, and what they were allowed and not allowed to have in it. I wouldn't be surprised in ILM even did the effects they were that good. So if these two have any merit this means [BLACKOUT]Rey is already a pretty strong in the force and is already a trained Jedi[/BLACKOUT] prior to The Force Awakens. Stuff like that doesn't make it into a commercial by "accident." Those image comparison shoots of Rey with Luke are spot on. She really does have a similarity to a young Luke Skywalker from Episode IV: A New Hope. Adding more proof that her linage is deeply rooted in the family of Skywalker. 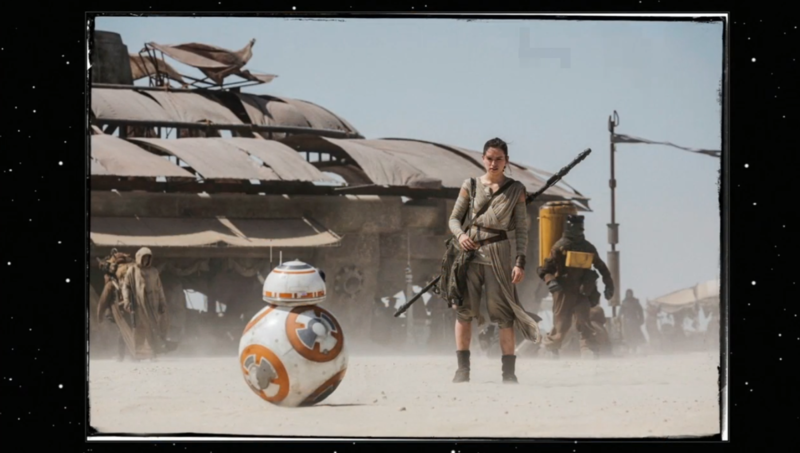 so from that interview, Daisy implies that we will find out who Rey's parents are by the end of the film. She says the "main question" will be answered and I'd think Rey's heritage is the main question on everyone's mind......lol. Nice surprise to wake up to. She really does look different every time I see her. 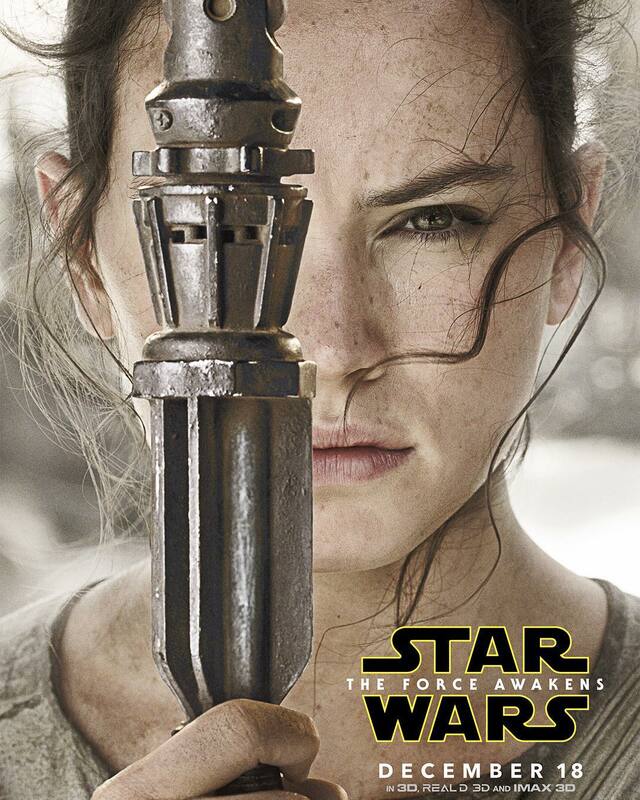 Second best of the character posters, after her Dad's. My word, she REALLY looks like a younger Keira Knightley in those THR pics. Seriously, it'd almost uncanny. Anyway I continue to be impressed by the marketing letting these characters look like actual people. People have pores, and some have freckles, and they&#8217;re showing that. This is especially great with the female characters. Not photo-shoped/airbrushed &#8220;supermodel&#8221; looks or &#8220;runway poses&#8221; here. 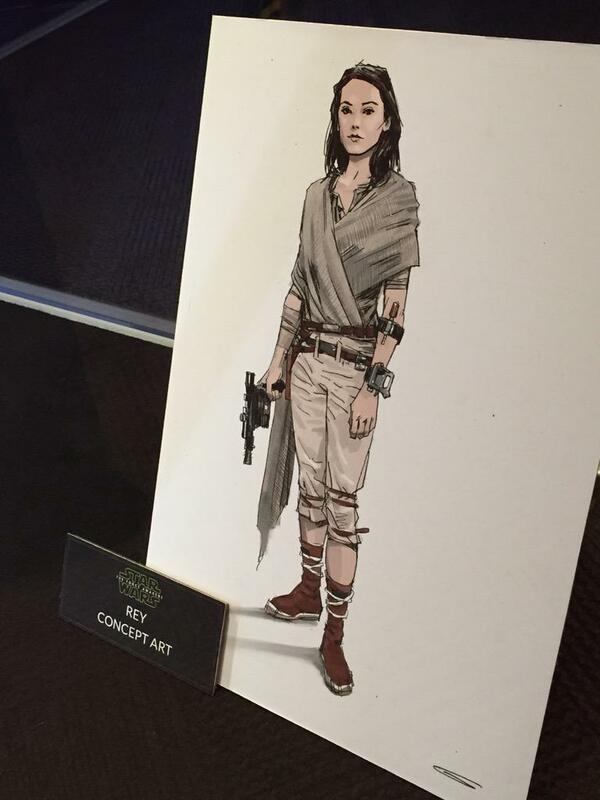 Rey looks like a person who&#8217;s spent most of her live eeking out an existence on a desert planet. In the trailers/merchandise, she&#8217;s sweaty, has some dirt/grime on her, her clothing is somewhat dirty/worn, she&#8217;s got a tan, and a bit on sunburn on her face, she&#8217;s got freckles, etc. And Leia actually looks like a woman who has aged, but gracefully. Again, well-done. Rey&#8217;s posters is my favorite personally. There&#8217;s just something about her look that I&#8217;ve been in love with for a while now. But they&#8217;re all good. Something tells me her performance is gonna blow us all out of the water. She's currently the single most exciting thing about this movie for me. And I can't pin down why. but then I like strong female protagonists. Actually me too. HA! So I guess that might be my answer right there. Fortunately, I have managed to avoid all the spoilers people seem to be discussing above. But I just feel like she fits so well into this role and the world judging by the trailers and promo stuff. the Force is strong with you if you have the willpower to avoid all the spoilers.